The recent IOS update for my iPhone was timely. We can finally use the GPS while in Airplane Mode!!! This has been a Godsend for me as I can check my position (with PCT Apps) and conserve as much battery as possible. Android has had this for years. Critters. The predominate critters I’ve seen so far are reptiles and bugs. Thousands of lizards (Sand lizards, Horny Toads and one Skink) and many snakes (mostly Garter, Gopher and three Rattle Snakes). 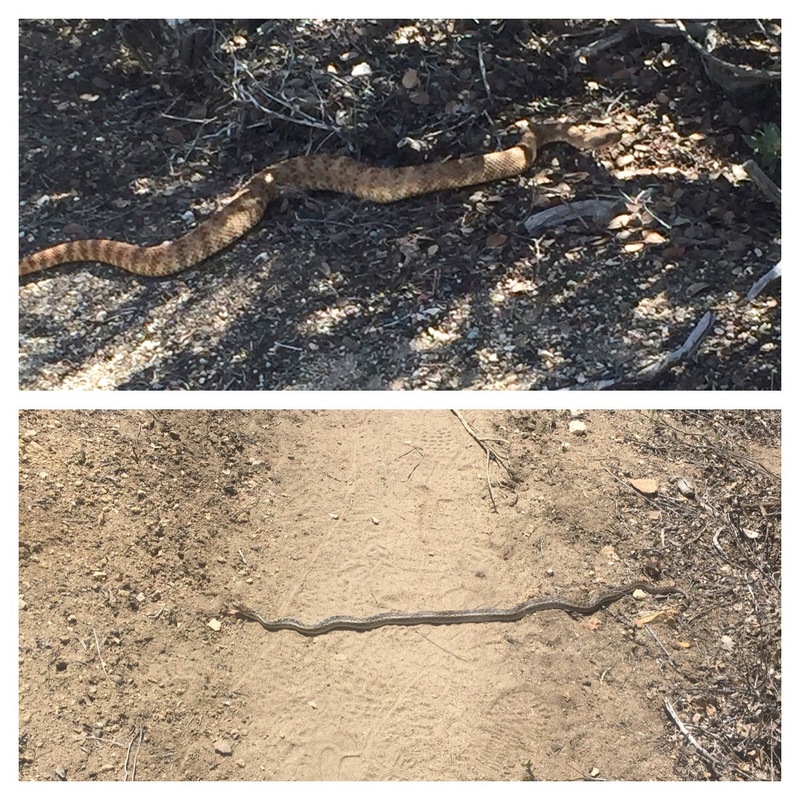 Below are a Rattle and Gopher snake. No notable bugs, but I haven’t hiked at night yet when the scorpions and giant millepedes (6+ inches) come out to play. I was just checking to see your status after a month on the trail. Hope it’s going well.